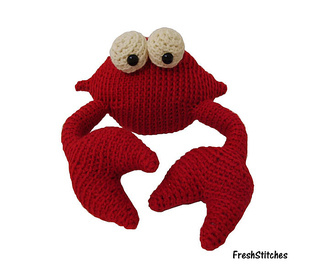 Meet Tip the crab… he’s soft and loveable, and not the slightest bit pinchy! 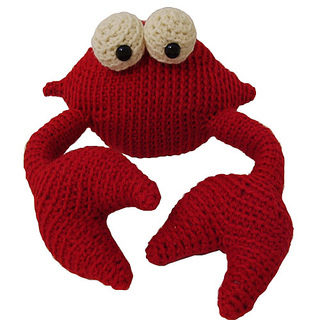 Tip’s shell measures 7 inches tall when completed… with a 17 inch wide clawspan! This is an intermediate level pattern, meaning that mid-level shaping (increasing and decreasing) is required. 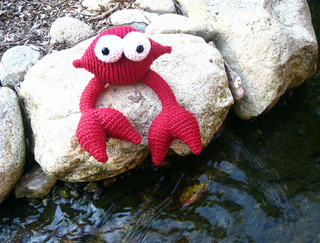 The pattern is a pdf that includes progress photos!